Childhood is filled with milestones, such as the first time your baby smiles, crawls, or laughs. Perhaps the biggest milestone though, is speech 1. Your child’s first words show that they are growing and developing from a baby into a little person, who can express their wants and who recognises their mom and dad. As a parent, the feeling this brings is unparalleled. But what if your child doesn’t achieve a milestone “on time”? You may become anxious. This is normal, but sometimes, children are just not ready, and simply need a little more time before they begin to speak. In some cases, the lack of speech is the result of a developmental problem which may require speech therapy 2. But how do you know if your child is developing as they should, and how do you decide if it is time to visit a speech therapist? What Are The Usual Stages Of Speech Development? Under 12 months: Your baby will interact with the surrounding environment by making sounds. 12 – 15 months: Your baby will start to mimic language sounds they hear from those around them, and will begin to say simple single words such as ‘mama’ or ‘dada’. 18 – 24 months: Your baby’s vocabulary will begin to increase, and as your child becomes a toddler, they will be able to put words together to make two-word sentences. 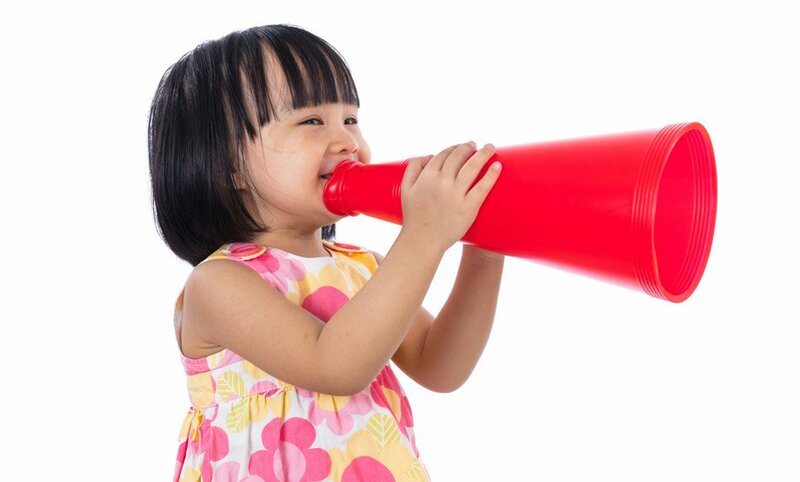 2 – 3 years: Your child’s vocabulary and ability to comprehend words will improve rapidly. They will begin to create sentences which are at least 3 to 5 words long. What Is The Best Age To Start Speech Therapy? While there isn’t a single best age to begin speech therapy, professionals generally agree that the sooner therapy begins, the better the outcome will be for the child. The expected stages of development detailed above are only a guide. However, as your child grows, any issue will become increasingly apparent. For example, if your child reaches the age of 18 months and has not said their first word, this could be a sign they need speech therapy. If your three-year-old can only put two words together, this is an indication that therapy is required. What Is The Importance Of Early Intervention? Generally speaking, the earlier the intervention begins, the better the prospect your child has of overcoming their difficulties. Speech issues can make it difficult for your child to learn related skills, such as reading, writing and spelling. As speech also plays a key role in a child’s ability to make friends and develop social skills, a child with a speech and language problem may become withdrawn. To increase the chance of a positive outcome, a referral to a speech and language therapist should be sought at the earliest opportunity. If you have any concerns about your child’s development, you shouldn’t panic! Although early intervention is best, it is never too late. Treatment can still allow your child to make progress at any point in their development. Regardless of how old your kid is, if you have any concerns, you should seek help. Speech and language professionals will be able to assess your child’s ability, and if any developmental issues are found, they can be addressed using speech therapy.